Grant Ehrlich, Ph.D. supports technology-based companies in the development and implementation of effective intellectual property (IP) strategies. He has drafted and prosecuted patents and has prepared non-infringement, invalidity, and freedom-to-operate opinions in fields spanning batteries, fuel cells, thermoelectrics, displays, sensors, medical devices, metallurgy, magnetic and magnetocaloric materials, ceramics, water treatment, heating systems, lubricants, detergents, coatings, and phosphors. Grant has contributed to multiple IPR petitions directed to lithium-ion battery technology. In addition, Grant has significant licensing experience and has prepared and negotiated domestic and international patent license agreements, technology transfer agreements, and material transfer agreements. Grant's counsel is informed by his engineering experience at Pratt & Whitney in the Systems Design and Component Integration (SD&CI) Group, at UTC Fuel Cells where he led an electrode development team, his scientific experience at Yardney Technical Products where he led a lithium-ion battery technology development effort, and his Ph.D. in chemistry. He also has litigation experience as an expert in batteries, electrochemistry, and materials characterization. Cantor Colburn is proud to be a Silver Sponsor of the New England Parkinson’s Ride on September 8, 2018, in Old Orchard Beach, Maine, at which cyclists ride up to 100 miles to raise awareness and funds for Parkinson's research. This is Cantor Colburn's third consecutive year sending a team of cyclists and sponsoring the event. Cantor Colburn LLP has been recommended as a Leading Firm by the Legal 500 United States 2018 in Intellectual Property for Patents: prosecution (including re-examination and post-grant proceedings). This is the ninth consecutive year that Cantor Colburn has been recognized for this highly selective honor. Cantor Colburn sponsored Team Cantor Colburn at the New England Parkinson’s Ride on September 9, 2017, in Old Orchard Beach, Maine, at which cyclists ride up to 100 miles to raise awareness and funds for Parkinson's research. Team Cantor Colburn raised more than $13,000. 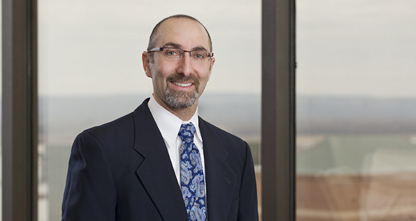 Cantor Colburn partner Grant M. Ehrlich, Ph.D. has been elected the 72nd president of the Connecticut Intellectual Property Law Association (CIPLA). Joining him on the executive committee as the 2017-2018 program chair is fellow partner Leslie-Anne Maxwell, Ph.D.
On April 28, 2017, new partners Grant Ehrlich, Ph.D., Krista A. Kostiew, Thomas Mango, and Paul Rodriguez were cited in the article, "Law360 Names Attys Who Moved Up The Firm Ranks In Q1." Cantor Colburn LLP welcomes 2017 with the elevation of four attorneys to its partnership: Grant Ehrlich, Ph.D., Krista A. Kostiew, Thomas Mango, and Paul Rodriguez. Cantor Colburn welcomes the new year with the promotion of six attorneys. Amy Bizon-Copp, Grant Ehrlich, Ph.D., Nicholas Geiger, Jenae Gureff, Paul Rodriguez, and James Wimpe have been promoted from associate to counsel. Partner Grant Ehrlich, Ph.D., will attend the 2019 International Battery Seminar & Exhibit, which takes place in Fort Lauderdale, Florida, March 25-28, 2018. Grant is an expert on lithium-ion batteries, and has authored chapters in several battery reference books, in addition to many other articles on the subject. The 2019 International Coalition for Energy Storage and Innovation (ICESI) and Pacific Power Source Symposium (PPSS) joint meeting will be held in Hawaii January 5-10, 2019. Partner Grant Ehrlich will moderate a panel discussion on Grid Energy Storage Systems with panelists Shirley Meng of UC San Diego, Andreas Jossen of TUM, Tobias Placke of Uni Muenster and Vincent L. Sprenkle of PNNL. Partner Grant E. Ehrlich, Ph.D., will attend the 233 Electrochemical Society Meeting on May 13-17, 2018 in Seattle, WA. The ECS biannual meetings are a forum for sharing the latest scientific and technical developments in electrochemistry and solid state science and technology. Partner Grant Ehrlich, Ph.D., will attend the 2018 International Battery Seminar & Exhibit, which takes place in Fort Lauderdale, Florida, March 26-29, 2018. Ehrlich is an expert on lithium-ion batteries, and has authored chapters in several battery reference books, in addition to many other articles on the subject. The Connecticut Intellectual Property Law Association (CIPLA) presents the workshop, “How IP Motivates Investors and Helps Price Drugs” on Wednesday, January 31, 2018 at the Graduate Club in New Haven, which includes a pre-event workshop for investors, entrepreneurs and attorneys. Partner Grant Ehrlich, Ph.D., will speak at the Lithium Battery Materials & Chemistries 2017 Conference, which takes place in Arlington, Virginia, October 31- November 2, 2017. Ehrlich is an expert on lithium-ion batteries, and has authored chapters in several battery reference books, in addition to many other articles on the subject. Cantor Colburn is pleased to sponsor the Connecticut Intellectual Property Law Association's Judge's Dinner on May 11, 2017. Grant Ehrlich, Ph.D., Esq., attended International Battery Seminar in Fort Lauderdale, Florida in March 2017. Ehrlich, a partner in the Hartford office, is an expert on lithium-ion batteries, and has authored chapters in several battery reference books, in addition to many other articles on the subject. The Women of Innovation® awards gala on April 6, 2016, recognizes women accomplished in science, technology, engineering, math and those who are involved in their community. It is presented by the Connecticut Technology Council, which Cantor Colburn has supported for many years. The Connecticut Bar Association Young Lawyers' Section presents, "Representing the Startup Venture in Connecticut," on March 29, a two-hour presentation with CLE credit available. Counsel Grant Ehrlich, Ph.D., JD and other panelists will discuss what attorneys need to know when representing a start up company in Connecticut, including the important aspects in business formation and IP that are different from traditional businesses, as startup companies are often in technological fields and involve outside investors. Cantor Colburn is proud to sponsor the Innovation Summit, presented by the Connecticut Technology Council. The Licensing Executives Society (LES) Annual Meeting is on October 25-28, 2015 in New York City. Grant Ehrlich, Ph.D., Esq., will attend 3rd Advanced Battery Outlook in Long Beach, California in July 2015. Ehrlich, an associate in the Hartford office, is an expert on lithium-ion batteries, and has authored chapters in several battery reference books, in addition to many other articles on the subject. Cantor Colburn is the founding sponsor of the Connecticut Innovation Summit, the state's largest tech networking event, where innovative, emerging, and disruptive companies, premier service providers, and elite technology leaders meet and celebrate innovation. The event concludes with an Awards Ceremony, hosted by Co-Managing Partner Michael Cantor, which will recognize the next generation of high-growth companies in Connecticut. Cantor Colburn is sponsoring reSET’s 4th Annual Social Enterprise Awards, a celebration of Connecticut social entrepreneurs with the most viable, sustainable, market-based solutions for some of our state’s most pressing social problems. Cantor Colburn is a platinum sponsor of the Connecticut Innovation Summit, a day-long program for executives, entrepreneurs, rising technology leaders, and investors to come together to share ideas and promote innovation. The program includes mentor meetings, a funding fair, a sales pitch competition, a poster expo, and an awards ceremony.